Welcome to the Seikens Network, the site that covers everything from the Seiken Densetsu / World of Mana series; from latest news on game releases and developments to in-depth walkthroughs, information guides for class changes, gameplay and inventories, a detailed monster bestiary, a growing official and fan artwork gallery, and complete soundtrack listings and downloadable remixes. We aim to bring you all you need to know, and more, about the series from Final Fantasy Adventure right up to the latest Dawn of Mana. We also offer a friendly community message board where you can get in touch with other fans of the series for gaming help or just join in with fun conversation on any topic. I’ve finally managed to get myself white listed on the site again, after 5 long years, and magically enough the post I bring to you today is about exactly the same thing I posted about last time. Except this time it’s finished. 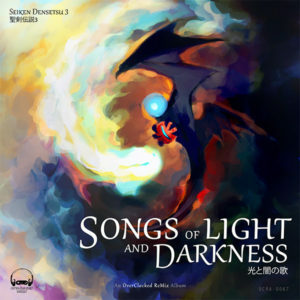 Head over to sd3.ocremix.org to check out the SD3 OverClocked ReMix album, “Songs of Light and Darkness”, it’s taken a while but it’s finally here. The second song on the album is especially on the nose, literally mentioning the “long long time” and “it might take 5 years but it reached the last stop” in its lyrics (I didn’t expect lyrics going in; also my last post mentions it being in the works for 4 years, so I guess we’re looking at almost 10 or so now, what an endeavor!). Thanks to Rozovian for keeping me updated all these years on the project, and congrats to you and yours for seeing this all the way through. Also thanks for giving me an excuse to use the Mana Music Monday tag again, even though it’s technically Tuesday now. But late updates are nothing new around these parts! Anyway, great job to all involved, and I look forward to listening through the entire thing. Yesterday marked the 25th anniversary of Secret of Mana, the game that really put the Seiken Densetsu series on the map. In honour of this, one of our long-standing members of the community, Manaman, has written an article on his blog remembering his introduction to the game. It’s not a perfect game, but despite its imperfections, it retains some spark, some magic that results from happy accidents and limitations. It is a work of art that I enjoy to this day. For years the forum has been closed for registrations due the spam bots keep coming back. We closed the registration to stop the spam bots, but this also meant that nobody could register an account in forum. During the event at Tokyo Game Show 2017 the voice cast of Secret of Mana was announced. Secret of Mana Remake coming to PS4, PS Vita and Steam! You know you want that Moogle Suit! As well as the 3D graphics, the remake will feature voice-acting, a re-arranged soundtrack, and local multiplayer for Playstation. The game will also have flexible language options to be able to experience the game with Japanese voice acting and subtitles. And, of course, what would an announcement like this be like without a video. Secret of Mana will be playable at PAX West from September 1-4 at both the Square Enix booth and the PlayStation booth! 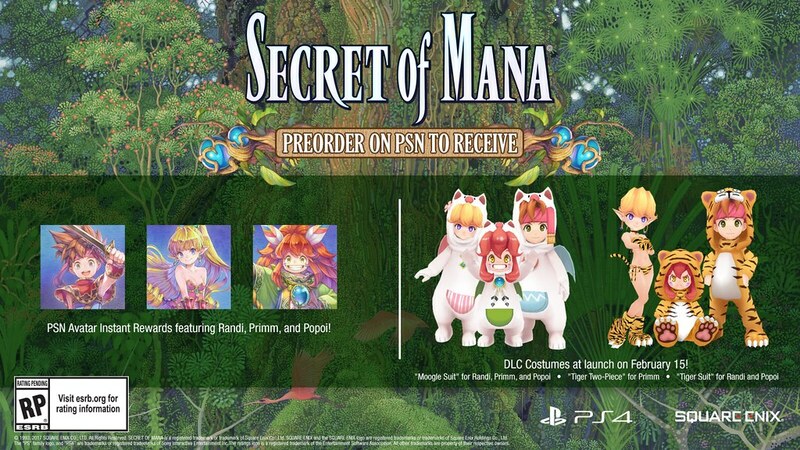 Comments Off on Secret of Mana Remake coming to PS4, PS Vita and Steam! We now have confirmation! 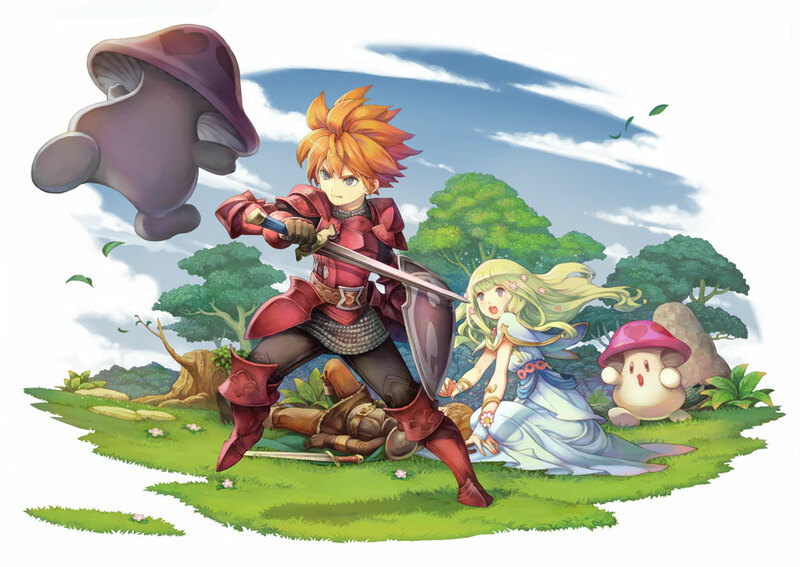 Announced is the launch of the Seiken Densetsu Collection for the Nintendo Switch. Due out June 1st in Japan, the collection will include Seiken Densetsu 1 (Final Fantasy Adventure), Seiken Densetsu 2 (Secret of Mana) and Seiken Densetsu 3 in their original formats. No news yet on a western release though. Could Seiken Densetsu 3 be headed for the Nintendo Switch? Thanks to Manaman for pointing this one out! The official Seiken Densetsu PR Twitter account recently posted a short video showing 10 seconds worth of gameplay of Seiken Densetsu 3 on the newly launched Nintendo Switch. Interesting to note the border round the screen in the form of the world map artwork from the game to fill out the space. The big question is now whether this means we will see an official English port of the game! Comments Off on Could Seiken Densetsu 3 be headed for the Nintendo Switch? Adventures of Mana which has been available in English for iOS and Android has now been released in Europe for PS Vita. Adventures of Mana – iOS and Android Release! 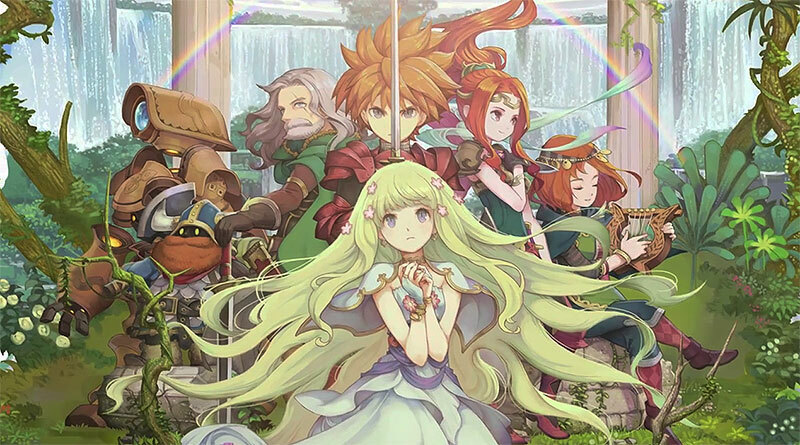 Adventures of Mana, the iOS/Android/Vita remake of Final Fantasy Adventure, or Seiken Densetsu, is now available from the Google Play Store and the iPhone AppStore! You can check out more details about the game on the official website, which includes a series of videos giving you previews of the game’s control system. Some will even see the familiar ring menu system from Secret of Mana integrated into the game. Comments Off on Adventures of Mana – iOS and Android Release!